Any excess healthy embryos from the in vitro fertilization (IVF) process can be frozen, in case more than one treatment cycle is needed. 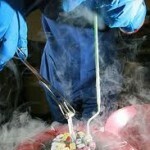 Freezing embryos, also known as cryopreservation, takes place for some 60% of all patients having IVF treatment. Cryopreservation of embryos is the process of preserving an embryo at sub-zero temperatures, generally at an embryogenesis stage corresponding to pre-implantation, that is, from fertilisation to the blastocyst stage. Embryos can be frozen from Day 2 (four cell stage) to Day 5 (Blastocyst). They are placed in thin plastic straws, sealed at both ends, and labelled with your name and identification number. They then go into a freezing machine, where the temperature rapidly drops to -150° Celsius. The straws are then placed in goblets, and put into tanks filled with liquid nitrogen, which keeps the temperature at -196° Celsius. Embryo cryopreservation is useful for leftover embryos after a cycle of in vitro fertilisation, as patients who fail to conceive may become pregnant using such embryos without having to go through a full IVF cycle. Or, if pregnancy occurred, they could return later for another pregnancy. Spare oocytes or embryos resulting from fertility treatments may be used for oocyte donation or embryo donation to another woman or couple, and embryos may be created, frozen and stored specifically for transfer and donation by using donor eggs and sperm. World usage data is hard to come by but it was reported in a study of 23 countries that almost 42,000 frozen human embryo transfers were performed during 2001 in Europe. The outcome from using cryopreserved embryos has uniformly been positive with no increase in birth defects or development abnormalities, also between fresh versus frozen eggs used for intracytoplasmic sperm injection (ICSI). Children born from vitrified blastocysts have significantly higher birthweight than those born from non-frozen blastocysts. 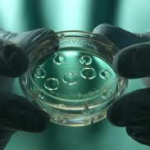 For early cleavage embryos, frozen ones appear to have at least as good obstetric outcome, measured as preterm birth and low birthweight for children born after cryopreservation as compared with children born after fresh cycles. Freezing can reduce expenses tremendously. Although it costs about $870 to freeze embryos and about $1,020 each time to use them, this compares with roughly $5,800 for an IVF cycle – and there’s no wastage of embryos. “By careful selection of spare embryos for freezing and later use,” Child said, “we are able to maximize the chances of success for a couple per expensive and potentially risky fresh IVF egg collection cycle.” Oocyte age, survival proportion, and number of transferred embryos are predictors of pregnancy outcome. 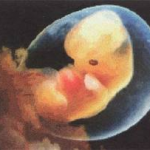 Pregnancies have been reported from embryos stored for 16 years. 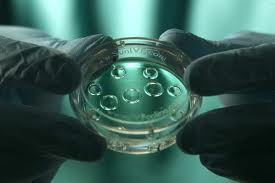 A study of more than 11,000 cryopreserved human embryos showed no significant effect of storage time on post-thaw survival for IVF or oocyte donation cycles, or for embryos frozen at the pronuclear or cleavage stages. In addition, the duration of storage had no significant effect on clinical pregnancy, miscarriage, implantation, or live birth rate, whether from IVF or oocyte donation cycles. From October 1, 2009 human embryos are allowed to be stored for 10 years in the UK, according to the Human Fertilisation and Embryology Act 2008.